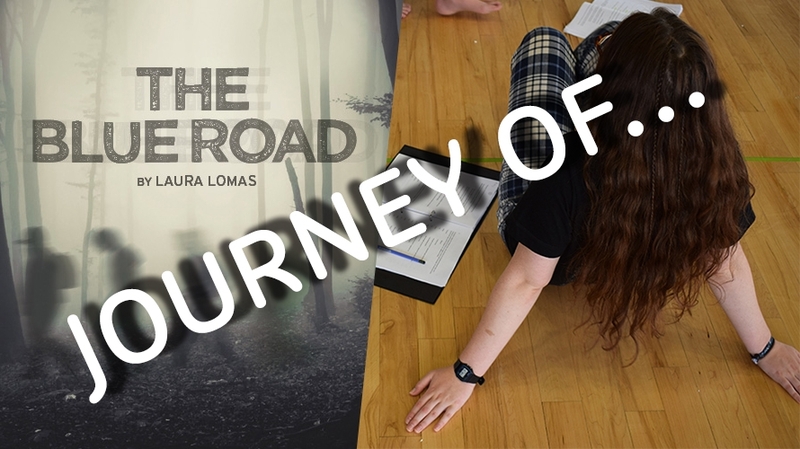 We’re into week two of rehearsals for our new Young Company Production The Blue Road, written by Laura Lomas. 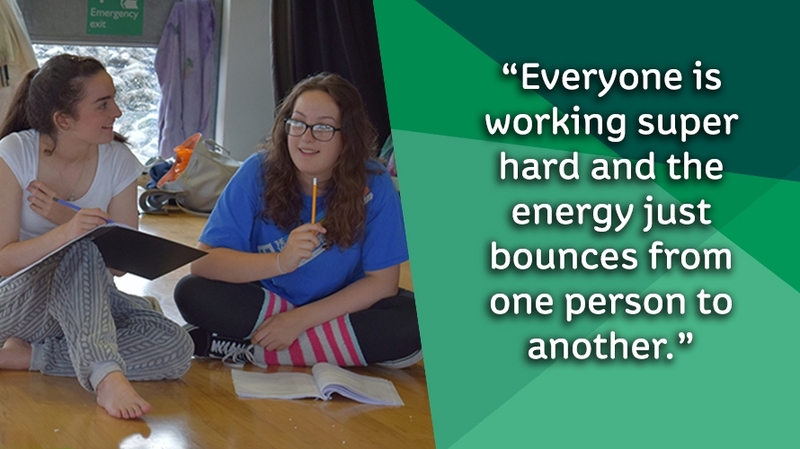 There has been plenty of exciting things happening over at our Production and Learning Centre, at TR2, and we caught up with Young Company cast member Aimee, to see how the production is progressing and the build up to show week! I got involved in the Young Company because I have always enjoyed acting and am wanting a career in it. I was given advice saying the best place to start was to join a company and learn skills and work with a diverse group of people. So I did. I found the Young Company and started doing workshops and auditioned for shows that were open to the Young Company. 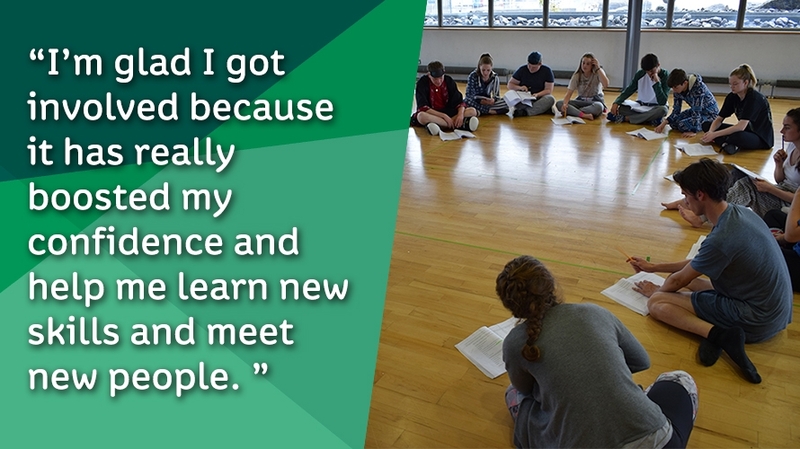 I’m glad I got involved because it has really boosted my confidence and helped me learn new skills and meet new people. The rehearsal process for The Blue Road has been intense because we have had a short space of time to work in, but that has just made it more exciting. I have loved the many different challenges that have come with this show. The challenges that I have found hard have been the movement aspects of the show, I have never worked with movement as a way of conveying a story or a certain emotion before and grasping that has been a little difficult for me. Also, The Blue Road is ‘in the round’ and I have never performed that style of theatre before so that for me has been new and exciting to work and experiment with. I think young people should come and see the show because it is a show about young people surviving without adults after a major event and I think the message of independence really comes through within the show. I also think it is a good show for parents because it shows the maturity of young people and conveys the message that young people can be responsible and are not immature because of their age and experience with the world so far. These are the type of people who I think would also enjoy the show as well. There is always an amazing atmosphere during production week, everyone is working super hard and the energy just bounces from one person to another, making the performance even better. I am really looking forward to being able to finally show all the hard work everyone has put in. I’m super excited for everyone to see it! Aimee and the Young Company will be in The Drum performing their new show The Blue Road on Wed 23 to Sat 26 Aug. You can book tickets here! Thanks for reading this week’s Journey of…The Blue Road blog post and look out for next week’s post.